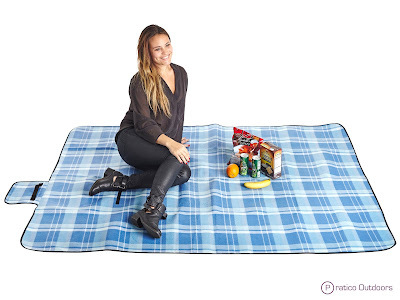 This picnic blanket is extra large and lightweight which makes it great for traveling and going outdoors. This is a great outdoor blanket. Whether or not you're using it for a picnic or sitting outside and hanging out, it's a great blanket to have. The first time I tried out this product was the fourth of July, watching fire works and I have used it several more times since then. It's very soft and comfortable. My husband and I and our two small boys can all easily fit on it together. I also love the waterproof side, making it nice not to have to worry about the grass being damp because the side you sit on is still dry, protecting me from getting wet. It also folds up pretty easy when I'm done using it. It took me a few times to get use to folding it up right, but I got it. The only thing I don't like about the blanket is that it says "hand-wash only". I hate hand washing things. I'll probably just try to wash it on gentle and hang dry it, then hope for the best. 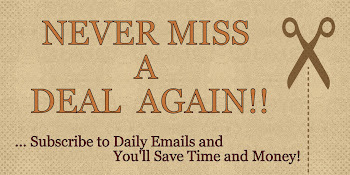 Overall, if you spend a lot of time outdoors, I would definitely recommend this item. Wonderful blanket. 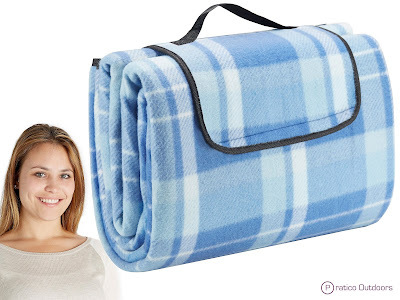 If you would like to try these out for yourself, you can purchase these Extra Large Blue Picnic Blanket & Outdoor Blanket with Waterproof Backing right now from Amazon! You can also check out their website at http://www.praticogoods.com/.